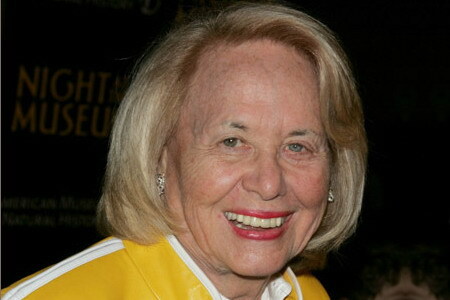 Liz Smith recently posted a couple of articles about Madonna, on wowowow.com. Madonna is at it again, releasing a “sacrilegious” song and video, challenging Catholic doctrines. Oh, no wait … I mean Lady Gaga and her new single “Judas” is the event raising a ruckus. Gaga, honey! You do realize that as talented as you are, the Big M did all this way back in the 1980’s? This, and speaking out for sexual freedom, supporting the gays, etc? I guess everything old is always new again to a new generation. But come on, Gaga — you are a smart cookie. Get a fresh idea. SPEAKING OF Madonna, the former provocateur has been so deeply involved in putting the final touches to her film, W.E., that she has hardly seen the light of day. She spends hour after hour in the editing room, mixing the music, getting it “just right”. This is typical Madonna. Even on her concert tours, she is always looking for ways to improve the show, and herself — right up to the last performance. There is some talk that La Ciccone will return to the recording studio later this year. And just as I presumptuously gave Gaga advice, I’ll do the same for my old friend Madonna. Another album? Great. But please, no more techno-infused dance music. Just sing. It also appears that Madonna’s W.E is set to premiere in Denmark on November 10th 2011.